Slow-cooked Texas-style barbeque arrives in Coburg. 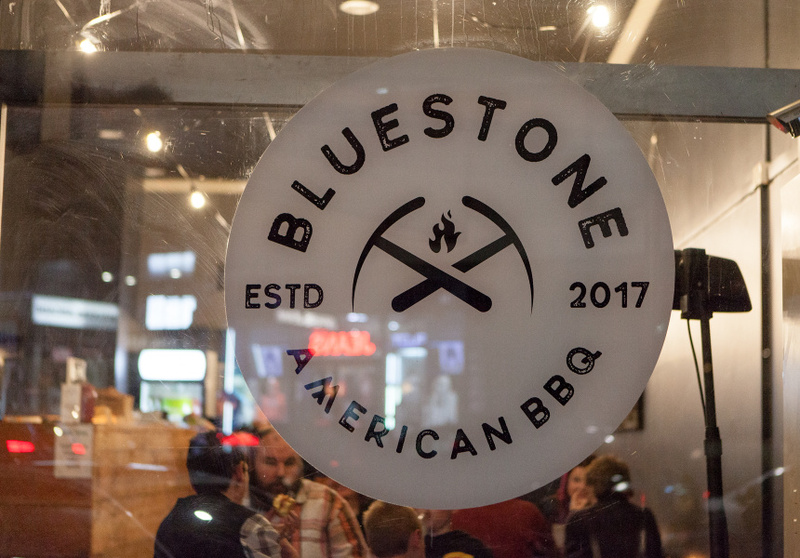 Pitmaster Al Malel and his wife Amanda Malel Trevisanut are your amiable hosts at Bluestone American BBQ in Coburg, which opened in July. But credit also goes to the company workhorse – a one-tonne wrought-iron reverse-flow smoker that quietly rumbles from around 6.30am on weekdays (and all night on weekends). 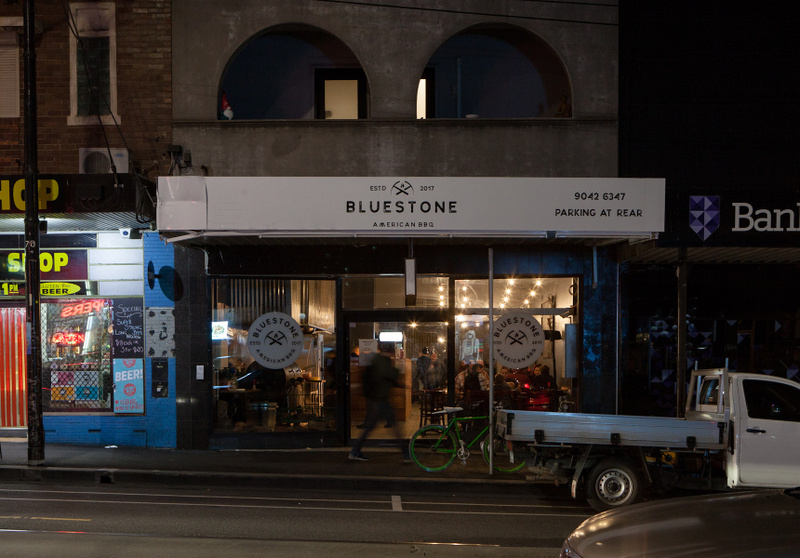 It’s the first thing you see when you walk into Bluestone – closed off behind waist-high partition gates like an exhibit in a train museum, with piles of red gum and applewood stacked to the side. Malel says he taught himself to cook American barbeque by watching YouTube tutorials, such as BBQ with Franklin “solidly for a year”. But his real education started much earlier. 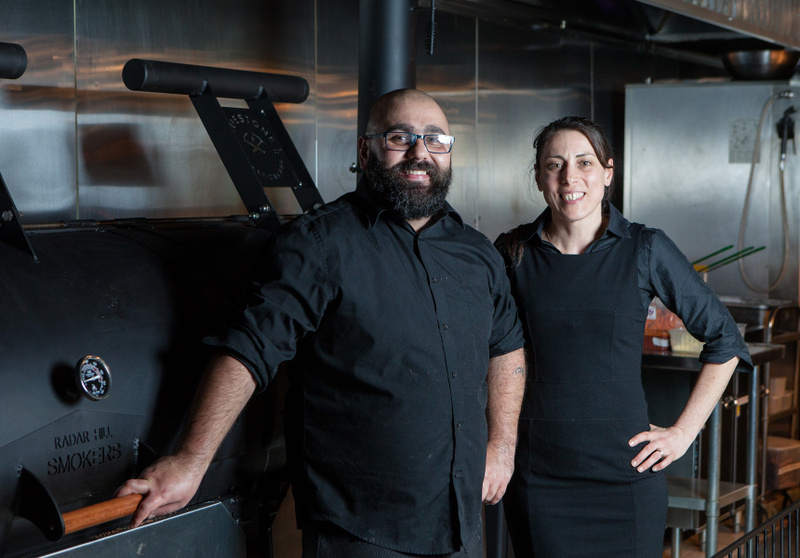 “I’ve been barbequing since I was a child,” says Malel, whose parents migrated to Australia from Uruguay before he was born. His grandfather first taught him to cook traditional open-flame asado when he was about five years old. “Fire was essential to our family gatherings,” Malel says. The 400-gram Uruguayan-inspired yearling beef short rib is a standout. It goes in the smoker for around 10 hours and is served with a heap of zesty homemade chimichurri. Sides include Malel’s classic Southern grits (a pale, buttery-yellow ground-corn gruel with pepper jack cheese and tomato au jus); Louisiana-style jambalaya with rice and beef sausage; tangy red-cabbage and fennel creole slaw; sweet potato chips with pimento chilli mayo; and, of course, mac’n’cheese. If making a choice seems too overwhelming, go for one of three set-menus – Pitmaster’s Picks – which include various proteins such as sticky beef back ribs, Cuban-style pulled pork and applewood-smoked chicken chops. Malel, a Coburg local, says the community was “crying out” for a place like this. He and Trevisanut fit out the modest but festive 60-seat space entirely with reused materials from the Campbellfield Recycle Centre, including large sheets of corrugated iron and bright effervescent party lights strung across the roof. But Bluestone is all about the food, and Malel only cooks enough for the day’s expected quota. “I love barbeque. I love Coburg,” he smiles.